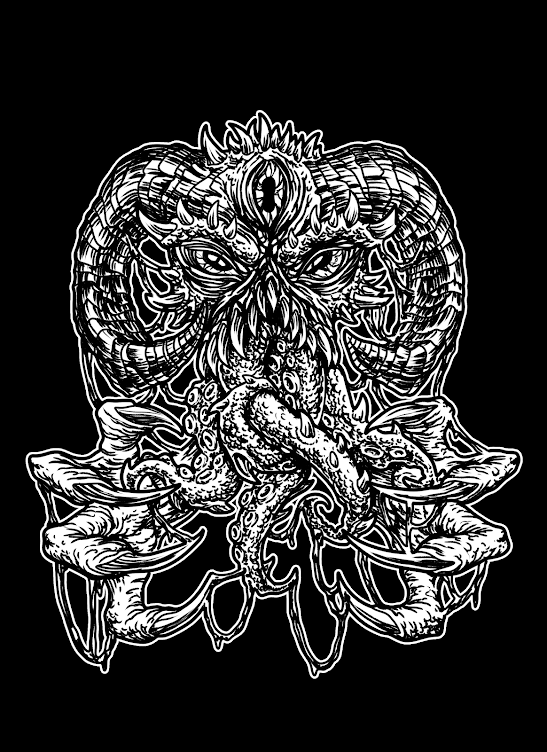 Elder are one of the most distinguished bands in the ever-growing, ever-developing genre that is stoner-rock. Their most recent output before ‘Lore’ came three years ago in the form of the 20-minute two track split EP Spires Burn/Release. In the interim, vocalist/multi-instrumentalist Nick Disalvo found time for a new project named Gold And Silver which explored a jammed-out mixture of psych and prog rock, often nearing the jazzier, more gentle tonalities. Such a spin-off has proven more than fruitful, as the band seems to have borrowed quite a bit from that approach on this newest outing, sounding similarly reflective throughout. Not quite what one would expect from a band with a history of being as heavy as they were on ‘Dead Roots Stirring’. On ‘Lore’, these prior strengths have really been cranked up a notch but there are moments where the atmosphere is almost melancholic. This adjoining vulnerability is a welcome development, as I find it easy to tire of stoner-rock bands that keep cranking out albums in the vein of ’show of muscles’, where riffs are galore yet there’s less to offer in terms of variation. Luckily Elder show no dangers of falling into such a trap as I’ve yet to hear anyone play quite as thoughtfully as these guys. The band seems to have quite a fondness of the five-song format, having used it for both their debut and sophomore effort that they’ve again replicated it here. The compositions on ‘Lore’ reman drawn-out, as per usual for Elder, so one really has to take time with it. Out of the five tracks there’s only one that falls slightly short of the ten-minute mark and the sounds are ever more progressive. During these lengthy tracks the band ventures further into their own kind of fables than ever before and it most definitely always requires an attentive ear. The first one out of the gate is a straight up ripper, coming in strong with throat-clenching riffs that you can’t help but nod along to. ‘Compendium’ is a very turbulent ride with the guitars sounding absolutely lush throughout, the erratic-sounding riffs obviously quite considered, with Nick spewing forth with his instantly recognizable fervour. The song retains its stamina all the way through and the ten minute run of the track definitely feels like much less. There’s a captivating turn at midway point, akin to a break-down. After that a build-up is introduced, combined with a steady stream of guitars lodged between. Some very groovy riffs come in at the very end that cease the lustrous guitar meandering and the severe vocals return for a moment. A flawlessly presented beginning to the record. ‘Legend’ starts off with soothing guitar progressions, very reminiscent of the Gold And Silver debut. Having eased you into the track, these are soon replaced by a grandiose growth which serves as an introduction. The elegant instrumental storytelling then begins, interchanging throughout the track with Nick’s vocals that are masterfully buried in between the fold. The interplay between guitars and vocals very well compliments each-other, so devised that the voice manages to infiltrate any empty creases. There are also some sporadic thicker riffs weaving in and out providing some backbone for the canvas. The lyrical injections are easily discernible but quite laconic so even with the track’s considerable length, the story told still comes off quite ephemeral. Another build-up is employed on this one. When the summit is finally reached, the song goes onto a joyous descent. The convoluted riff-fuelled jamming develops until the end, as that one recognizable guitar theme that has followed beside you the whole way returns and takes you to the close. The title track calls to mind some tale of a mythical journey as it descends deep into the waters and things get increasingly mind-bending. Ceaseless layers of guitars really give off a vibe as if you’re being embraced by a constant inflow of raging waves and you can’t help but drift along to their rhythms. A deafening surge of guitar is repeated over and over as the soundscape grows even thicker of rough riffs. There’s a gorgeous ambient interlude giving some time to breathe before the swell comes in again. By the time it does, the storm has subsided and you’ll instead find the shimmering sunlight hanging above the water. The conclusion returns more forgiving. 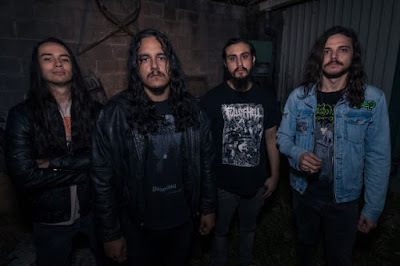 Triumphant guitars gloriously pick up the narrative and when those abate there are some invigorating riffs which grow into a consistent riffing wallop, akin to what Austin’s The Sword are known for. The initial layers introduced in the beginning finally return and sound very reassuring after the fury that just receded. With that it’s off for an epic ride into the sunset. It all sounds simple as I describe it but there’s nothing straightforward about the composition presented here. An absolutely epic voyage. ‘Deadweight’ starts off with a glistening sound that’s akin to wind-chimes. As the opening accretions resound, it becomes clear that this one bring back some of sharp focus in exchange for the blurred horizons of prior. Across the duration of it, the interplay of gentle and heavy features some guitars glistening, others grounding. On the whole, this track definitely leans more towards the decimating though with some relentless riffing. Also, Nick here brings forth some thoroughly earthen vocals, as if the gravel was spilling from his mouth. The plummet taken towards the end is really deserving of the title the track’s been given. It’s still a little early to set yourself down just yet, as the delight of the acoustic guitar that begins ‘Spirit At Aphelion’ brings a welcome change of pace to the restlessness felt on the previous tracks. This one’s a lot brighter and the guitars sound quite up-beat at first. Having taken the back seat during the last few tracks, vocals also feature more prominently here. It takes on a more serious tone toward the middle but that soon falls into an exuberant solo. There’s some long-winding roaming where guitars flutter as a backdrop and come off as quite hypnotizing. The end of the track returns for the verse presented at the star and leads into a final build-up toward its dissolve. I’m usually not too keen on fade-outs but implemented here it works quite well, leaving the future open for subsequent tales. 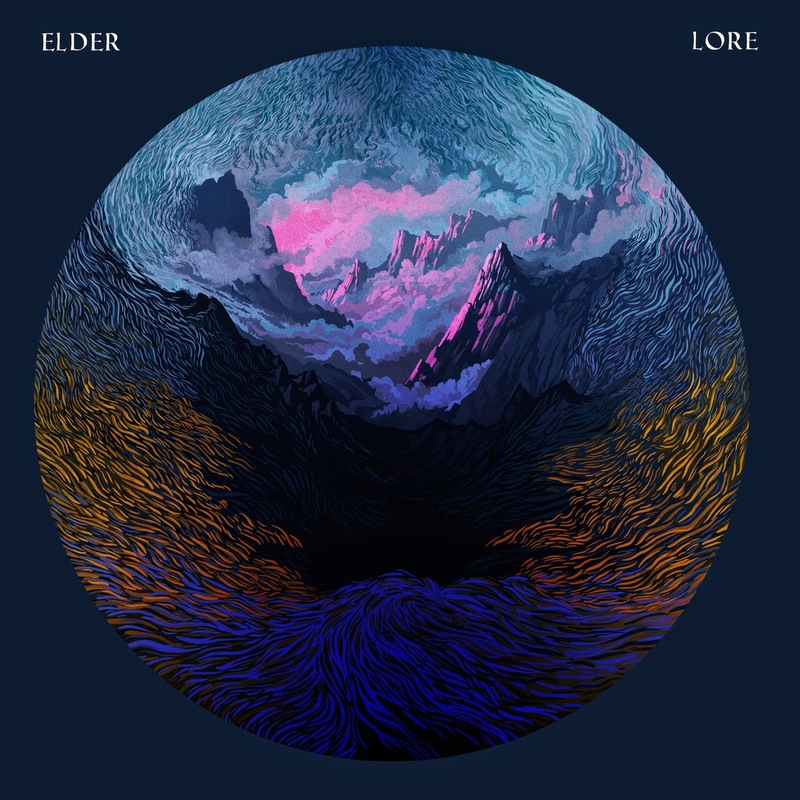 As a whole, ‘Lore’ is quite the demanding listen. My initial impressions were that the album starts to drift apart toward end and that the overall structure might’ve benefitted from a few straight-shooters scattered between the longer forms. The first part of the album has been arranged with much more cohesion and from the middle on towards the latter, the instrumentation expands and casts forth way into Elder-space. Luckily, all who have followed the band through the years know what an exhilarating place that can be. The band seems to be increasingly interested in going off on long-winding tangents which allow them to go through some complex twists and turns, all pulled off with such grace and spell-binding precision that it’s easy to forgive you’ve been taken captive for so long. They delve into some completely uncharted sonic territory and following them on that path is consistently a gripping experience. It’s a perfect album for us keen on escapism as marvelling at the end result is bound to remove you from your daily experience and carry you off into Elder’s epic tales of yore, the intricacies of which really only start revealing themselves on many a repeat listens. I’m sure we’ll be absorbing this one for some time to come, until they decide to take us along on another odyssey.